I was intrigued by the black pudding cigars with raisins and black sesame, these are excellent, you have to try them! 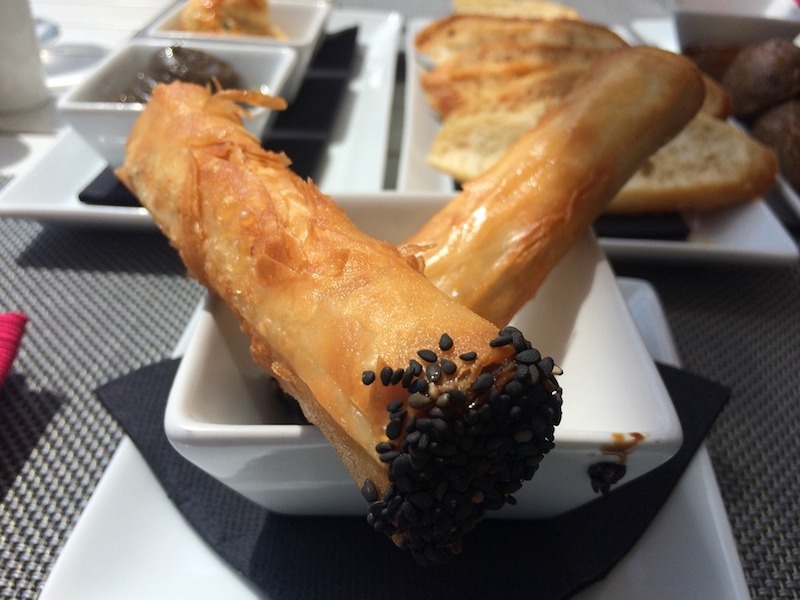 The black pudding interior is deliciously sweet and moist, wrapped up in crispy filo pastry and the end dipped in black sesame seeds to give the appearance of a cigar. The other top tapas dish that we tried was the spiced cod fishcake served with garlic mayonnaise, not only did they look great, they tasted fabulous too, we enjoyed every mouthful of this decent sized portion. We really enjoyed the trio of pates, which were dips of black olive tapenade, hummus and babaghanoush, served with a variety of tasty crisp breads. The chips bravas style were small Canarian potatoes deep fried in aromatic herbs and served with a spicy foam, an interesting twist to the chips and spicy sauce normally served. The only disappointment was the chicken kebab, this was meant to be tandoori chicken served with granada raita, the meat had no flavour and the couscous with onions and sultanas didn’t add anything to the dish, which was all a bit bland. 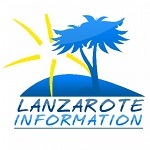 We ordered a glass of white house wine with our meal, the only option for Lanzarote wine was a bottle of El Grifo at €20, the chardonnay was €3 a glass. For anyone with food intolerances, the menu at Blue Horizon is clearly marked with symbols to identify which dishes contain nut, gluten, dairy etc. Price wise the tapas dishes ranged in price from €3.25 to €8. The Blue Horizon gets our thumbs up, we really like this place, we at least have to go back and try the sushi and I’ve heard their cocktails are fabulous too! You can find them on the promenade in between Playa Los Pocillos and Matagorda, the restaurant is situated within the grounds of the Sol Lanzarote hotel.